The winner of the CHOOSE CROMMELINS SUBARU AND WIN car competition run by CROMMELINS is Bunbury Machinery! Bunbury Machinery won the promotion with the purchase of a CC90R Plate Compactor. Congratulations! 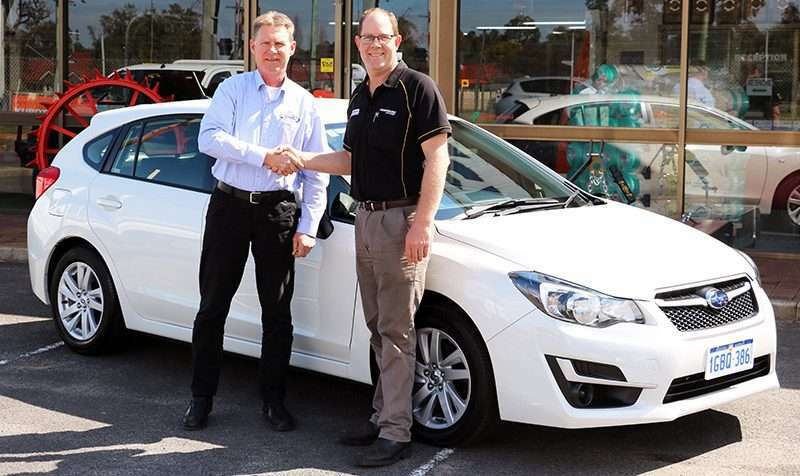 they are now the owners of a new SUBARU Impreza 2.0i CVT worth $24,990. The competition ran from April to June 2016 and Hire Companies, Crommelins Dealers and End-Users had an opportunity to win when they purchased any Crommelins™ branded products powered by Subaru during the promotion period. Crommelins are excited to have provided the promotion as a reward to their many loyal customers and were pleased to see who the final winner was. Crommelins wishes to thank everyone who participated.